Aboard the Asteria today, we had another great day on the bank! We found ourselves along the western edge on mid-bank, where we found Pepper bubble net feeding. The birds were a plenty feeding around her (including laughing gulls, herring gulls, and diving northern gannets), and Pepper amazed us today with her continuous lunges bursting out from the middle of her spiral net. Pepper's spiral “blast” net. She creates this by blowing columns of bubbles in a figure “9”. 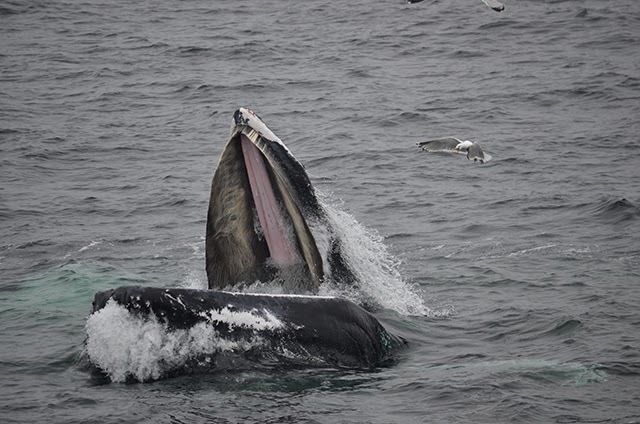 Lunge, and look at all that baleen! Lunge feeding is always one of my favorite behaviors to observe! If you look closely in some of the photos, you can see some sand lance trying to scurry away! You can also see that Pepper has a bit of white scarring along the left side of her jaw, showing that she probably rolls on her left side when bottom-feeding here at Stellwagen bank. 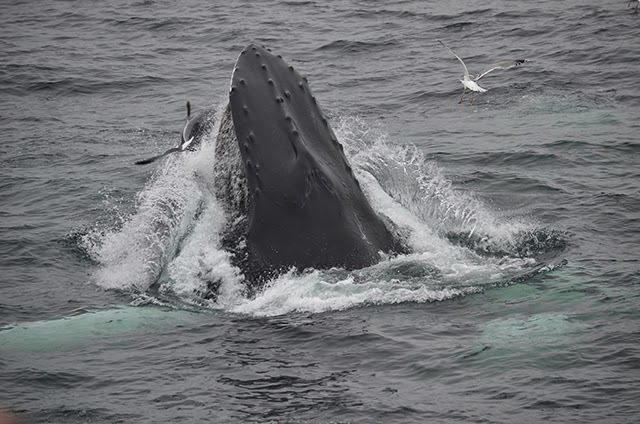 (It’s found that certain humpbacks tend to be “left-handed” or “right-handed” when it comes to bottom feeding). 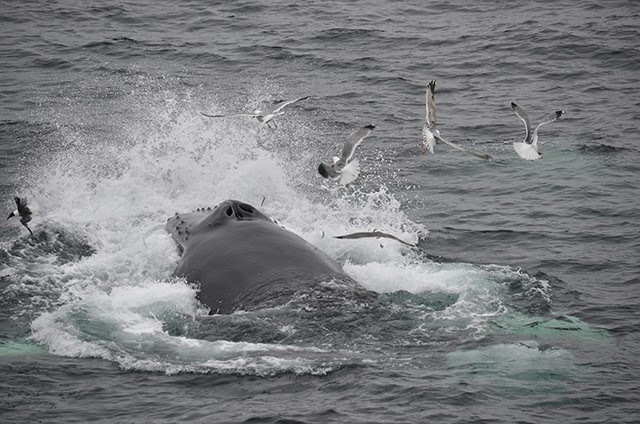 And a special treat on the Whale Watch Log—video! You can hear the excitement of the passengers. Pepper continued this behavior the entire trip – each time before she surfaced, we could see the bubble net forming and all of the gulls flock to the net. 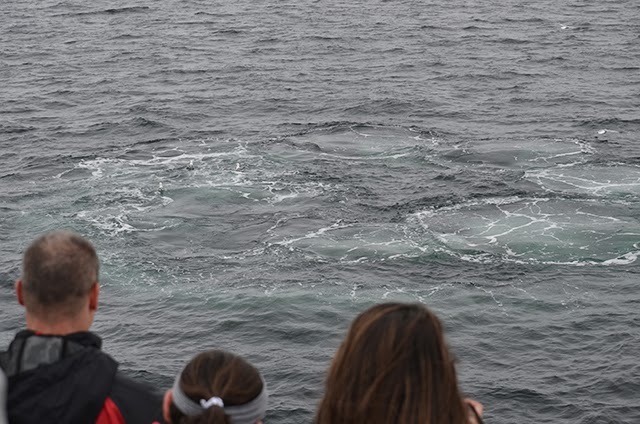 We also got looks of a fin whale with a very distinct hooked-shape dorsal fin, as well as two more fin whales on our ride home.